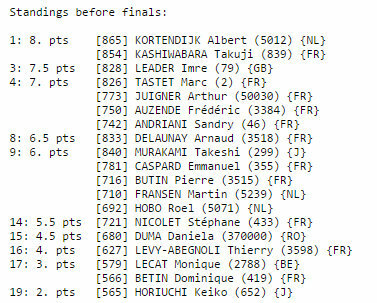 Takuji Kashiwabara wins Paris EGP August 28 and is European Grand Prix Othello Champion 2011. Imre Leader 2-0 Marc Tastet. Results of the 2011 tourneys in Prague, Barcelona, Moss, Köln and Ghent.